What's the first place that comes to mind when you think of Las Vegas? I bet for most of you, you pictured something on "the strip." What if I told you that there are a multitude of different ways for a family to experience Vegas that doesn't involve the hassle of the strip? Let's be honest, the strip is spread out, baking hot, full of people handing out flyers you would rather your kids not see, and it takes a GPS just to figure out how to get the family across the street. I was recently able to experience just the opposite when I visited the Fremont Street Experience. It's old style Vegas with restaurants and attractions that are all within an easy walk of each other. I stayed at the fabulous D Hotel and Casino, which plants you right in the middle of downtown, and every attraction you will want to visit in the area. Besides the close proximity to all the action, The Fremont Street Experience is covered by a canopy that not only cuts down on the heat, but also projects fun light shows up and down the street. It was 105 degrees out but it felt like 80 degrees on Fremont Street beneath the canopy. 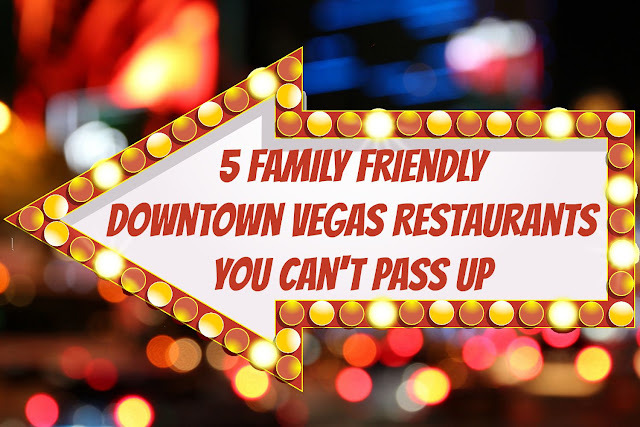 There are also many excellent family friendly restaurants that call The Fremont Street Experience their home. Below are the five restaurants that I have personally tried and recommend, along with a few bonus attractions that are must see stops for your entire family. Make no mistake, there are plenty of nearby places for adults to have fun as well, but if you are traveling with your kids this is your definitive downtown food guide. have have simple tastes but why take them to an ordinary fast food place? American Coney Island features dogs, burgers, gyros, chicken, fries, and more. However their ingredients are fresh, their decor is retro, and their service is fast and friendly. They are famous for their old Detroit style and believe me it doesn't disappoint. Take my advice and order the Coney Island Dog exactly as recommended on the menu. I'm serious don't mess around because you think you know better. You don't. In fact get two dogs, but whatever you do don't skip the chili cheese fries. The food here will satisfy even the pickiest five-year-old. Their pies, cinnamon rolls, and pancakes are a mile high and have taste to match. If you are extra hungry, then order the Stackzilla which is a gigantic mound of their famous fluffy pancakes. These stacks of deliciousness were even voted best in the U.S. by Esquire Magazine! Devour them all in 15 minutes or less and they're free. I chose to try one of their mouth watering cinnamon rolls. It was one of the best I've ever eaten. They also serve lunch and dinner but whatever you order make sure and get their homemade jams and syrup. You will thank me later. Take the short walk to the historic Golden Gate Hotel to find this gem. If you are looking for someplace a bit nicer (but still can wear shorts to) you absolutely need to grab a steak at Andiamo's. They were voted best steakhouse in Vegas by Eater.com and are known for their 32 oz. longbone ribeye known as the "Tomahawk." If steak isn't your thing try the lobster risotto, their famous Grande Meatball, or their free-range chicken. Andiamo's will give you just the upscale family experience you are searching for. Wait, did I mention the crab cakes? All I can say is WOW! Andiamo's is located on the second floor of the D Hotel and Casino so make sure and check out the vintage Sigma Derby Machine while you are there. Only a couple of these horse racing machines still exist in all of the United States. Have you ever eaten lunch while watching people shoot down a waterslide and through a huge aquarium filled with sharks? Yeah, I didn't think so. Inside the Grotto at The Golden Nugget you will find just that. The great thing is that your kids will be thoroughly entertained by the huge fish so you and your significant other can have some adult conversation time. Just make sure and ask for a table with a view of the pool and aquarium. Besides the fantastic seafood and pasta, the dessert selection at the Grotto is out of this world. I went with the chocolate cake, but I heard the Italian wedding cake is delicious as well. The D Grill is definitely a relaxing place to grab breakfast, lunch, or dinner. You can take a break from your shopping and concerts to sit back with your family and talk about all the great fun you had that day. Or you can use it as a launching pad to grab an incredible breakfast before you head off on your next great adventure on Fremont Street. However, you must promise me that you will order the stuffed french toast. It will melt in your mouth and give you a kick of energy to get you in the right frame of mind for a brand new day. If you stay at The D Hotel, just head straight to the second floor and the entrance is right by the elevators. Slotzilla: You didn't think I would end this post without a few great entertainment ideas did you? 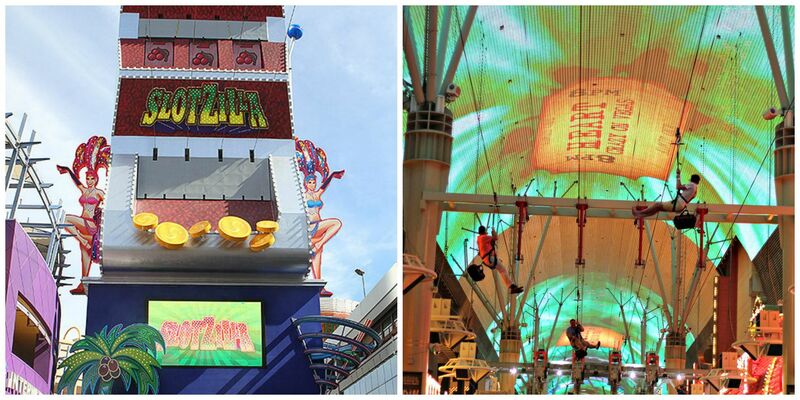 Slotzilla is a Zipline that will take you the length of the Fremont Street Experience. It is well worth setting aside some time for this adrenaline rush. You can choose the regular Zipline (77 ft. and $20) or higher Zoomline (114 ft. and $40). Pro boxer Floyd Mayweather Jr. even took the plunge directly after I did. I am the guy in the orange shirt in the photo below. I like to think that Mayweather saw that I braved the flight and it gave him the courage to go through with it. Please don't spoil it for me and just let me live with that dream. You will want to ride this at night but get your tickets early because the wait can get long the later it gets. 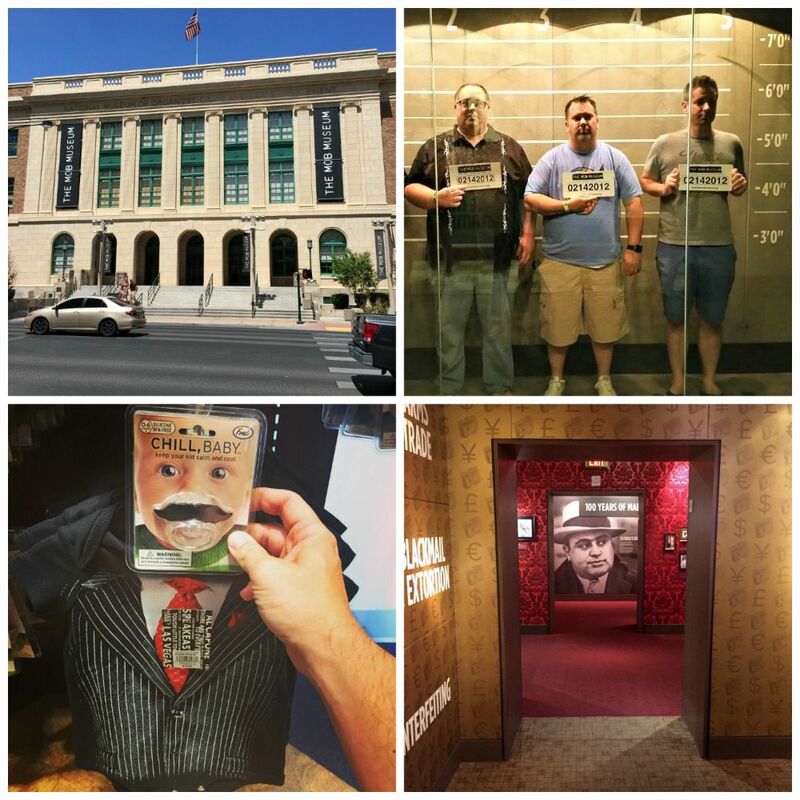 The Mob Museum: Learn about the fascinating history of the mob in Las Vegas and around the United States. You will take part in fun interactive exhibits that tell tales about how the government has fought these famous mobsters every step of the way. This is great for older kids looking for something completely different and parents who are looking for something a little more educational. Don't mistake this for boring however because it is the furthest thing from that. There are three floors of interesting videos, engaging props, and even a guided audio tour. Make sure and set aside a few hours to really take in all that this museum has to offer. The gift shop has some really fun and unique items as well! I hope these ideas help you plan your next family vacation to Las Vegas. To see what some of the other guys from my trip had to say about their experience CLICK HERE to go to the Men Who Blog Website. Disclosure: The D Hotel and Casino covered expenses for the purpose of a blog post review, but I received no other compensation and all opinions are solely my own.